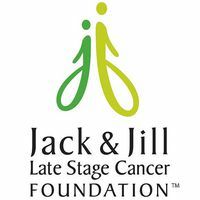 As featured as the cover story on the CBS Sunday Morning with Charles Osgood, Sunday Night Football, and twice featured on the Today Show, The Jack & Jill Late Stage Cancer Foundation is the first and only resource nationally to treat the families, not the cancer. These children are losing their Moms and Dads to cancer at such a vulnerable time. JAJF has provided the gift of precious time to so many sweet, young, late-stage families.